Josee Bienvenu is pleased to announce Marco Maggi's Drawing Set, a project in collaboration with Esopus, a limited-edition annual publication that features contributions from artists, writers, and other creators. 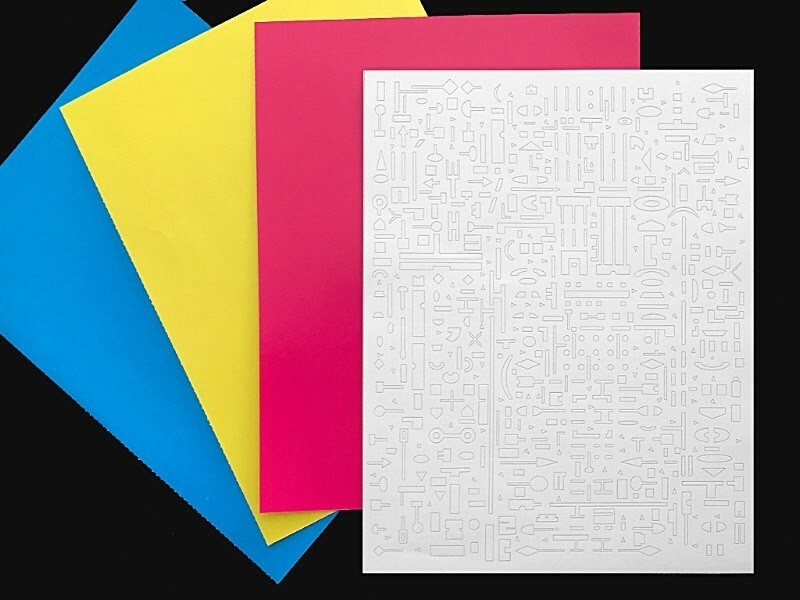 In ESOPUS 24, Marco Maggi provides readers the tools to create their own artwork - a sheet of adhesive-backed die-cut forms created by the artist, and a blank page of cyan, magenta, or yellow paper depending on the issue. The artist invited readers to send their completed artworks to the Esopus office; the works received will be exhibited at the New York Public Library from September 5th through October 2nd, 2017.